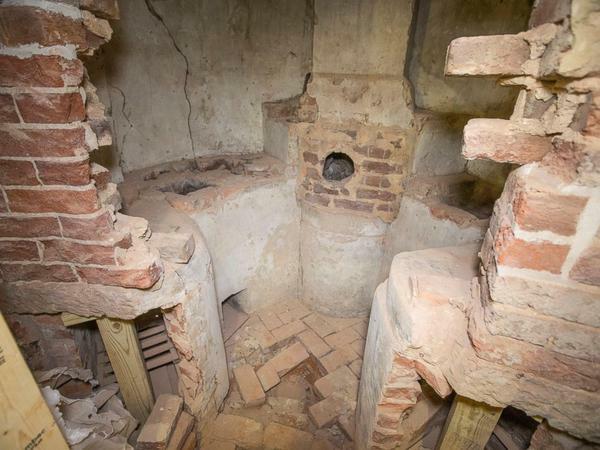 The University of Virginia’s Rotunda still has its secrets, as conservators are discovering amid the building’s ongoing two-year renovation. One of them is a chemical hearth, part of an early science classroom. 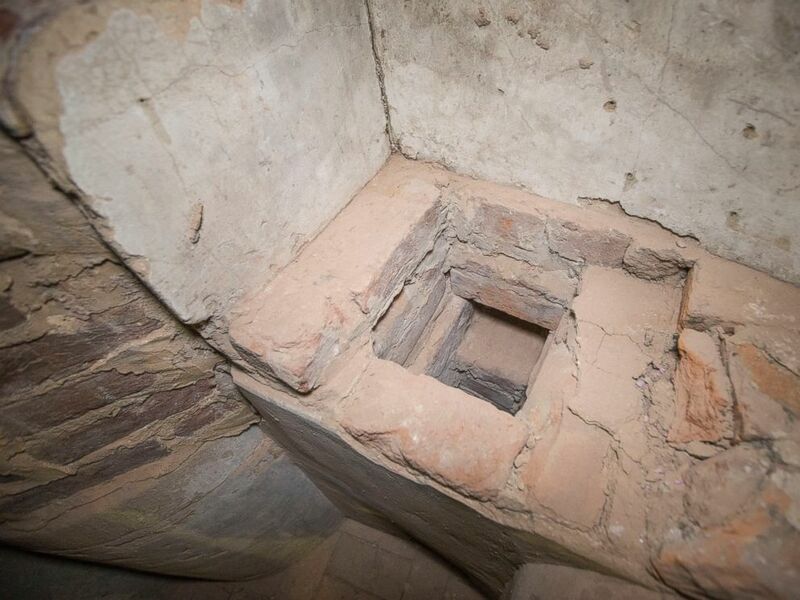 It had been sealed in one of the lower-floor walls of the Rotunda since the 1850s, and thus was protected from the 1895 fire that destroyed much of the building’s interior. 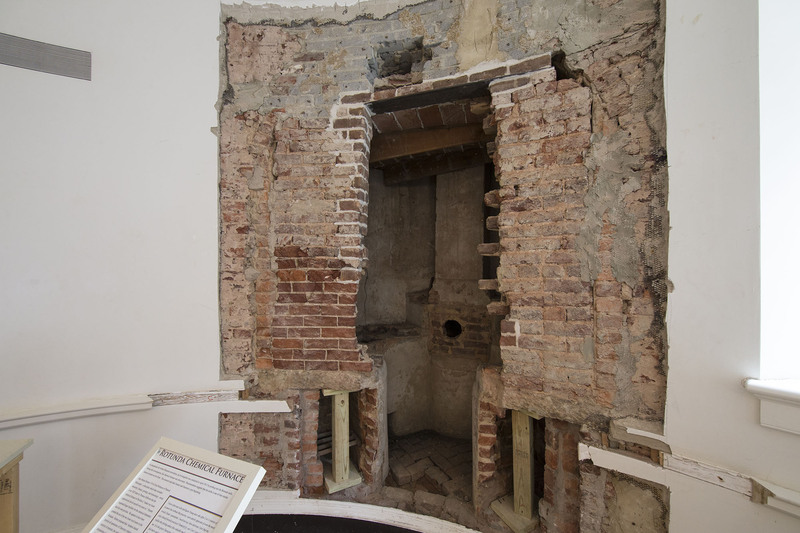 Two small fireboxes of the hearth were uncovered in a 1970s renovation, but the hearth itself remained hidden until the current round of renovations. When preparing for the current renovations, workers examined some of the cavities in the walls and found the rest of the chemistry hearth. “It was a surprise, a very exciting one for us,” Hogg said. Once the renovations are done next spring, the hearth will be part of a permanent display. In Thomas Jefferson’s original Rotunda, the teaching of chemistry occurred on the Rotunda’s bottom floor – laboratory experiments and demonstrations in the Lower East Oval Room and lectures in the Lower West Oval Room. John Emmet, the first professor of natural history, who collaborated with University founder Thomas Jefferson to equip the space, taught the classes. Thanks for following as always appreciate your, reblog’s or retweet, also our newspaper is added with all our posts daily.